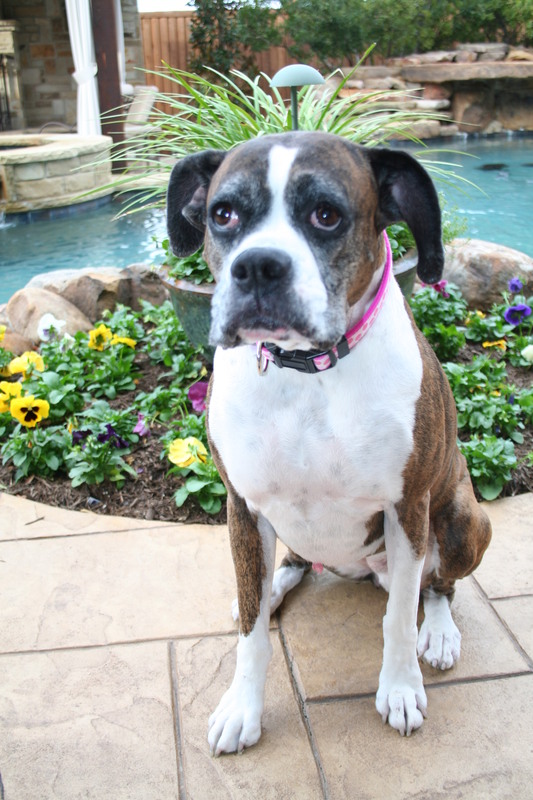 It is with deep sorrow that I share with you that I lost my best four legged friend, Sassy, to cancer this morning. We found out she had Mast Cell Tumors back in August. Since she was already 10 years old, there weren’t many treatment options available for us to try on her. Because of her age she just could not withstand surgery. 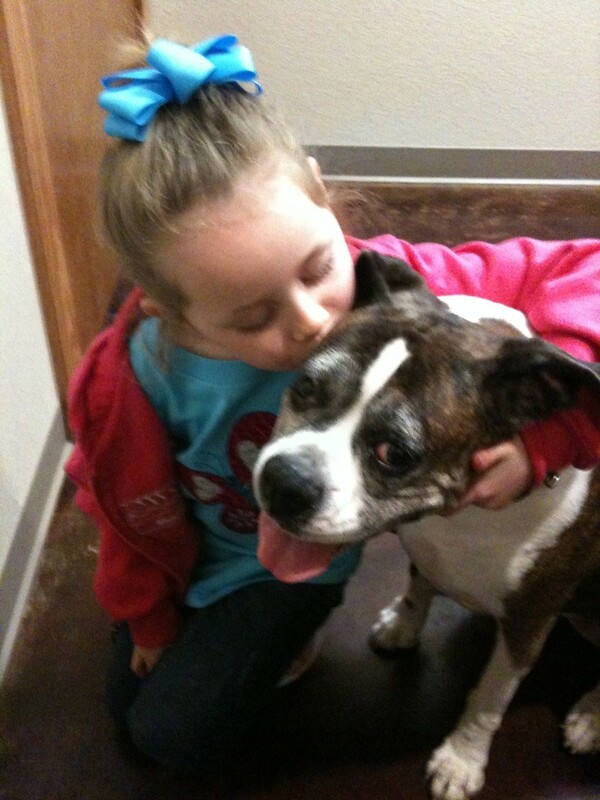 We decided to take our vet’s advice & put her on a few medications & just enjoy the rest of the time we had left with her. She responded wonderfully to the medications over the last 5 months. However, on Tuesday, my husband called me while I was on an installation in Houston to tell me that Sassy had taken a turn for the worse. 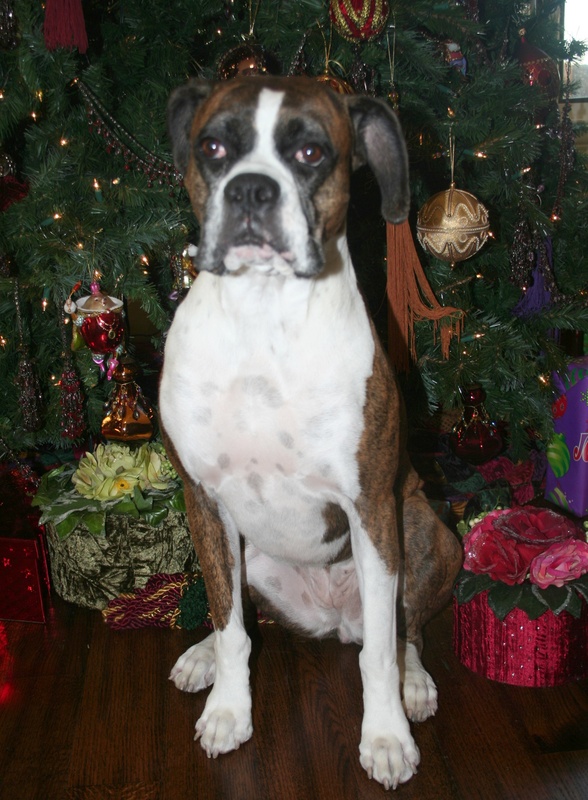 He took her to the vet & decided to bring her home & try her on another round of steroids. She pepped up a bit yesterday, but we could tell that she was fading fast & was just not herself. She sleeps with our daughter every night. They are best buddies. Around 4:30 this morning, Sassy came into our room. Brian & I got up to attend to her. She was very sick & would no longer eat or drink anything. By 7:30 she could barely walk. I know that God is taking great care of her now. She is no longer in pain. No more cancer. 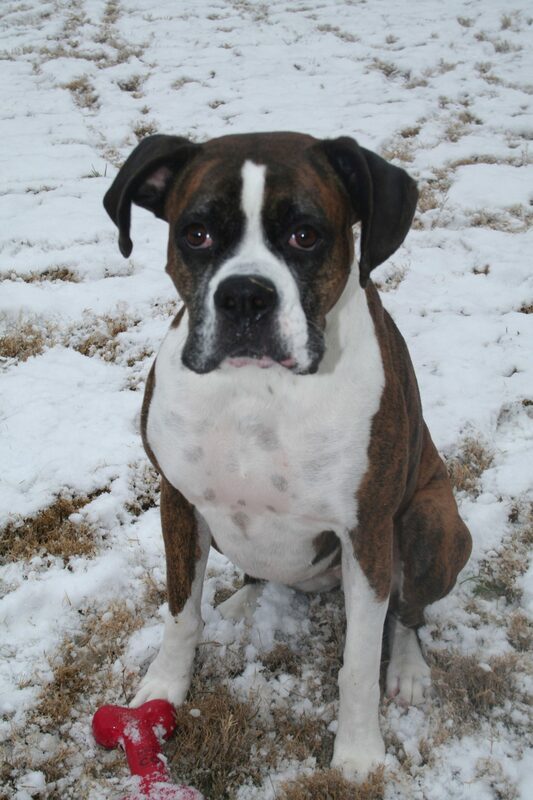 She has joined our other family, friends, & four legged buddies up in Heaven. I can just picture Jesus throwing a tennis ball for her & watching her go crazy with excitement as she fetches it. Before she left us, I told her that we would talk to her in our prayers each night & to please continue to be a great guard dog over Jaylie. She was always very protective of her. I am terribly sad right now, but most of all I want to celebrate Sassy. She have me 10 1/2 wonderful years & has seen me through some of the best & worst times of my life. 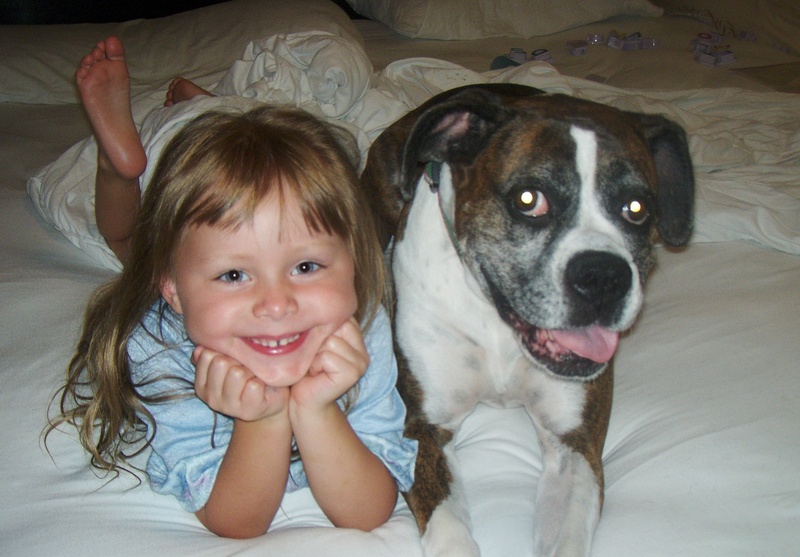 I write this blog today as a way to cope & express my deep love for that amazing dog. I leave you with a photo montage of just a small glimpse of what a huge part of our lives Sassy was & how much we enjoyed each & every day with her. 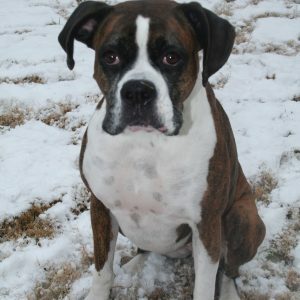 She was the greatest dog I ever had. I know one day we will be reunited, but until then, I have so many wonderful memories to remember her by. Sassy 2007. 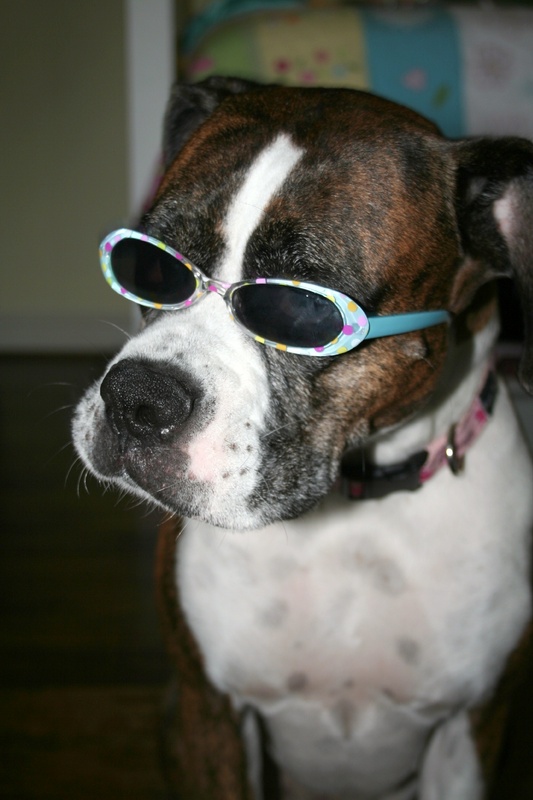 She was one cool dog! LOL! 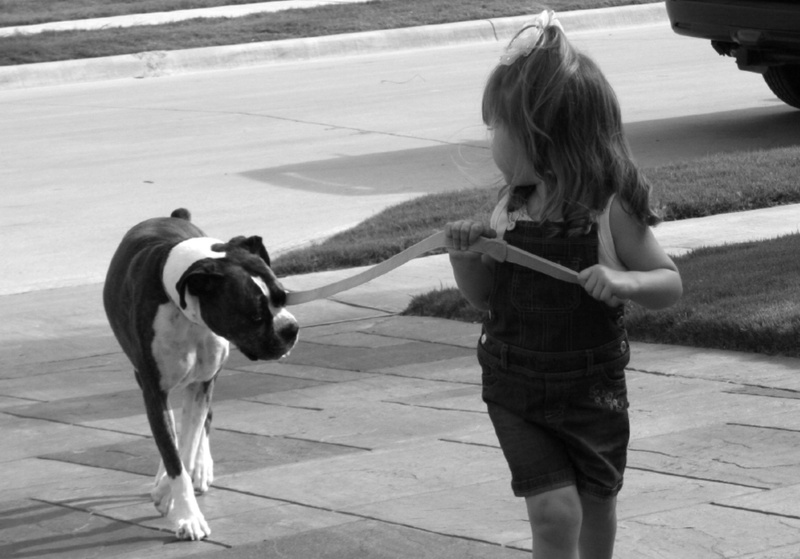 She loved to go for walks. She was so patient & didn’t mind being pulled around by a little 3 year old. 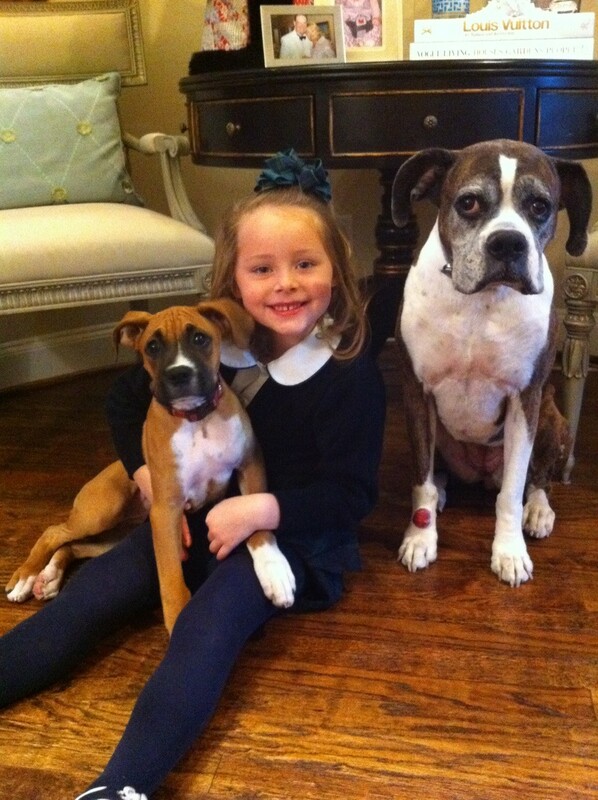 Boxers are just the best dogs with kids. Sassy is being such a trooper in this picture. She let Jaylie dress her up in a party hat during Jaylie’s 2nd birthday party. Probably my favorite photo ever! Jaylie is about 3 years old here. 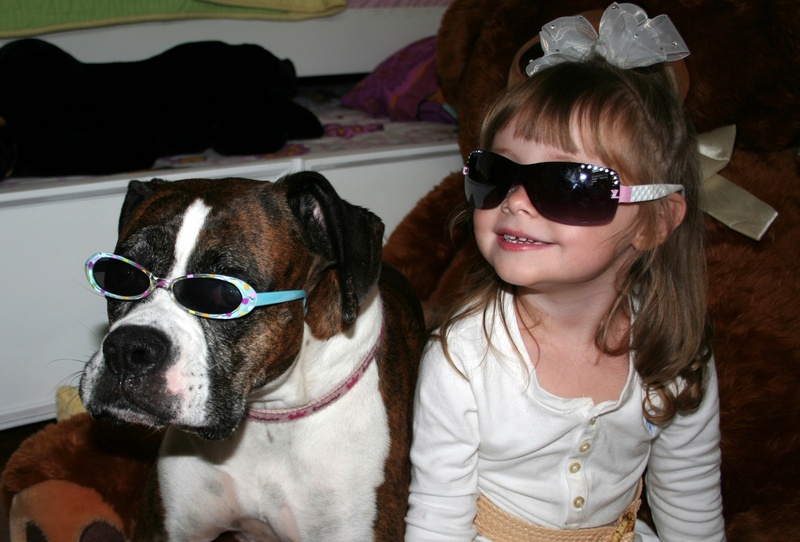 She loved playing dress up with Sassy! 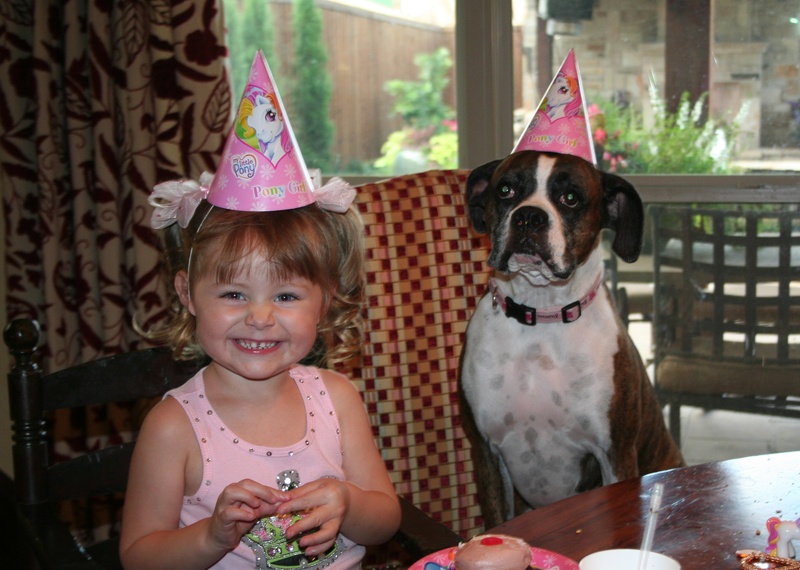 Sassy’s 6th birthday party. 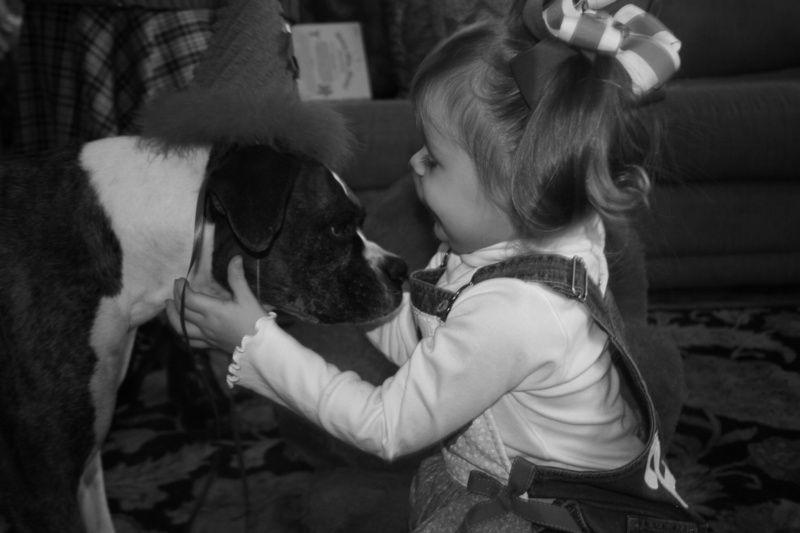 Yes, we throw doggie birthday parties at our house. Jaylie picked the My Little Pony theme. 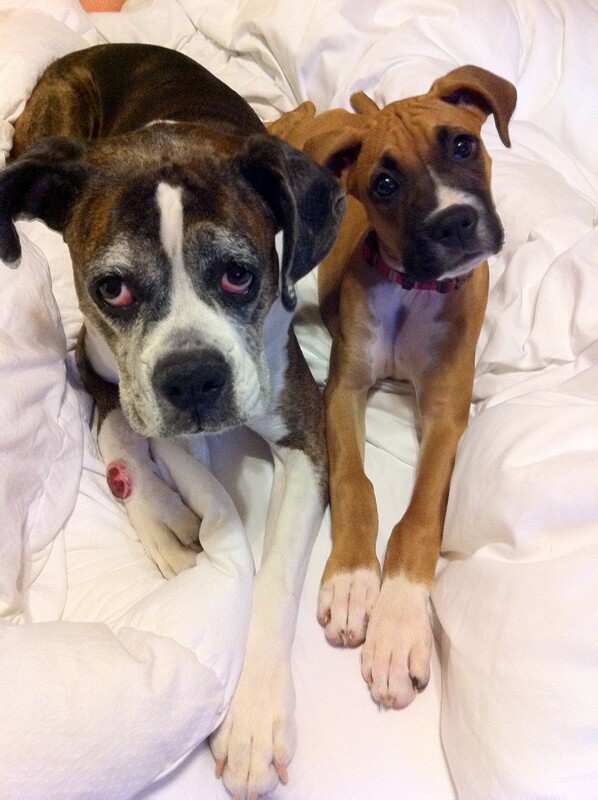 Sassy & Roxy just a few weeks ago. We got Roxy back in October. In just 2 short months, Sassy has taught Roxy so many things. She was such a great big sister. 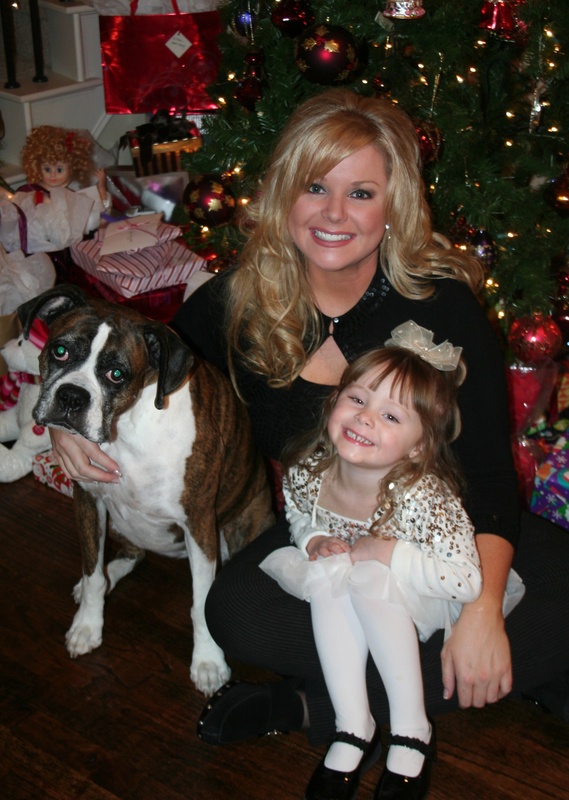 Roxy, Jaylie & Sassy just last week on Jaylie’s 6th birthday. 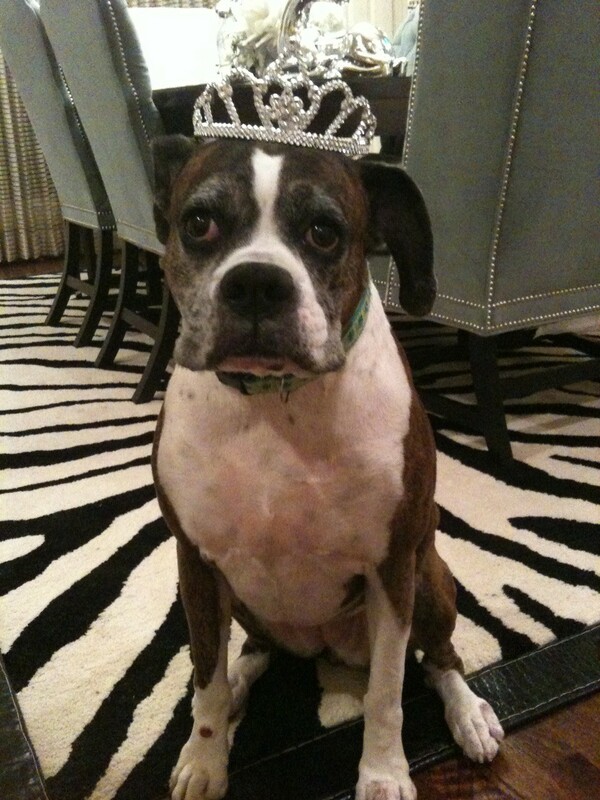 R.I.P Princess Sassy. We love you so much! We will miss you!